July 2013 | MMA Fighting Events Videos Techniques UFC Fight Picks and News. Fighting in the cage, however, has another aspect, the business side. The promoter is looking to make as much money as possible. You, on the other hand, will be fighting for free. Not only that, the promoters are charging quite a lot of money for people to go watch you fight. In the MMA events I have fought at, ticket prices have started at $35 (plus fees) for standing room only to $75 for VIP. There are some MMA promotions that charge even much more. In fact, I have seen promotions charge $150 for tickets! To add to all of this, you'll be doing a lot of the promoting. Amateur MMA event promoters expect you to sell tickets. They depend on you, the MMA fighter, to sell tickets. You'll be telling your friends, family and teammates about your fight. The promoter will be expecting you to let them all know in person and through social media. Just as the promoters are looking to protect their finances, you need to look out for yourself as well. While you are an amateur and promoters are not allowed to pay you, you can still look out for yourself within the framework of the CAMO rules. You or your coach/representative needs to talk to the MMA promoter about the following CAMO rules . No person shall appear as a contestant in any amateur MMA contest who has or will receive any compensation or reward from the promoter of such contest in any form, except for actual travel and hotel expenses, and/or a per diem not exceeding $100 per day, or trophies, for competing in MMA contests. While the promoter has expenses, you, the fighter, do as well. Under the rules, you can be compensated for your hotel, if you need one, and you are allowed to be compensated for your travel expenses. You will have other expenses the day of the fight. Under CAMO rules, the promoter can compensate you $100 for these expenses. *****304. Limitations on Value of Trophies. Except as provided in Section 303, only a trophy may be given to each contestant in any amateur MMA contest, but provided the value of such trophy does not exceed the sum of five hundred dollars ($500). No portion of an admission fee or fees charged or received for any MMA contest shall be paid or given, either directly or indirectly, to a contestant in connection with an event he/she is competing in, including without limitation, any commission on ticket sales for an event he/she is competing in. 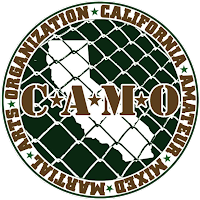 Unless the written permission of CAMO is first obtained, it is strictly forbidden for any promoter to pay or cause to be paid to any coach, trainer, or representative of any amateur mixed martial artist participating in a contest, any sum of money other than the actual traveling and per diem expenses incurred by such coach, trainer, or representative and amateur mixed martial artists in traveling to and from their respective residences to the MMA contest in an amount to be approved by CAMO. For purposes of clarification, a coach, trainer or representative of an amateur mixed martial artist shall be permitted to receive a reasonable commission on any tickets they sell to an event, provided such commission is paid in connection with their services as a ticket seller as opposed to being compensation in connection with the participation of any athlete competing on such event. These two rules together don't allow for commissions to be paid to you, the fighter. Yet, the promoter will be expecting you to promote the event. However, your coach, trainer, or representative can be paid a reasonable commission. You'll be busy getting ready for your fight. Let someone else in your camp take care of any ticket sales. A 10% commission should be the minimum, but a 25% commission would still be reasonable. Remember, the promoter is doing a lot of work but so is anyone in charge of selling tickets. Anyone selling tickets should therefore receive a commission. Speaking of tickets. The promoter can and should give you tickets or wristbands for your closest family members. It doesn't have to be, and probably can't be many, but the promoter should give you some. You are already fighting for free. You shouldn't have to pay for your closest family members to go watch you fight. A fight is a fight. Modern day MMA, on the other hand, is also entertainment and it is definitely a money making opportunity. Promoters will have no problem making sure that their finances are taken care of, so make sure that your finances are taken care of as much as you can as an amateur. As we head into the heart of the Summer season, SparStar Promotions returns with Friday Night Fights at the Hollywood Park Casino. Tony Padilla and his MMA fight promotion company SparStar Promotions has truly set the bar and shown how an MMA show should be run. 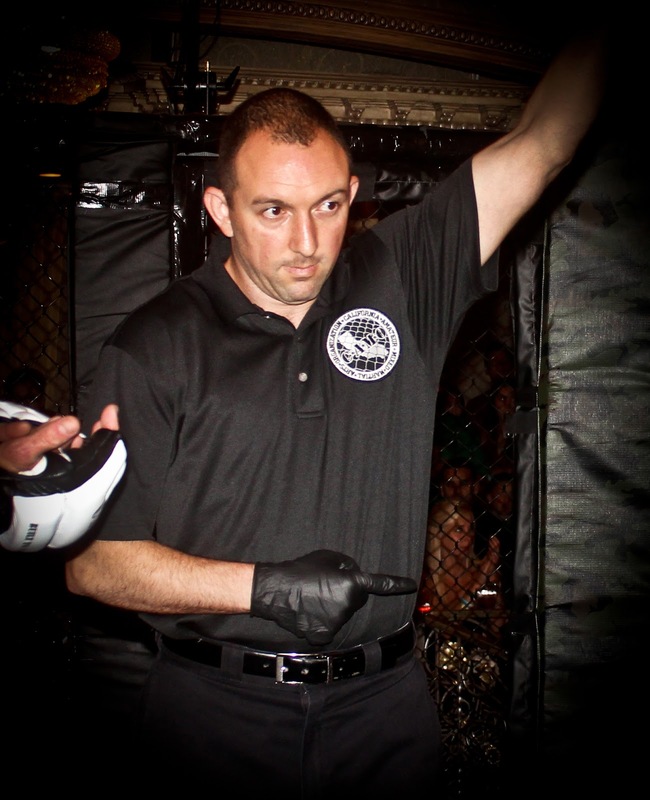 They've become the premier MMA event company in the Los Angeles area. On Friday August 2, you have another chance at catching some live MMA action and a well produced show. If you're an up and coming fighter and you're looking to get involved in MMA competition, this is one of the events you should become a part of. If you're a fight fan and you're interested in checking out MMA and cage fighting action for the first time, this event would be a great choice. For more informations, visit www.SparStarPromotions.com or you can call 626-562-244-8067. At Chingasos MMA we pride ourselves on giving this awesome sport as much exposure as possible, and we're more than glad to work with those that strive to do the same. We appreciate fight promoters like Tony Padilla and organizations like SparStar. Thanks to Tony Padilla and his understanding of how important it is to give these fighters exposure, on August 2, we'll be at the Hollywood Park Casino doing some photography and giving these fighters much needed exposure. Chingasos MMA writer, editor and talent scout. Every sport has some kind of referee and/or judge. MMA is no exception, having both referees and judges. You can ask any MMA fan and they will let you know without a doubt that referees and judges are clueless. All of us MMA fans know that they are blind and that they don't know what the hell they're doing. Is that really the case, though? ChingasosMMA got a chance to sit down and have a conversation with one of the best up and coming referees and judges in MMA, David Michael Bell. David is highly knowledgeable and he shared some of his insights as an MMA official. Chingasos MMA: Thank you for sitting down with Chingasos MMA and sharing your knowledge. First of all, you work with many great referees and officials such as Herb Dean and Big John McCarthy, and you've also worked with a great referee like Mike Beltran. How tempted have been to just grab Mike Beltran's mustache? DMB: You know he has a great stache right there. You put a cowboy hat on him and a couple of six shooters and you have Yosemite Sam. Hats off to him. He's grown a great one and he braids it now and keeps it trimmed. It's unique to him. That's for sure. I wish I could grow it like him. I'm half Armenian and I can't grow the hair like that. Chingasos MMA: Ok well, can you tell us about your fight background? DMB: I started in 96 in Brazilian Jiu Jitsu. I started with a Rickson Gracie affiliate, Michael Ortiz, and a Jean Jacques, affiliate David Dunn. I also trained a little bit in Muay Thai. I have trained a little bit of judo and wrestling, but mainly Brazilian Jiu Jitsu is my background. Chingasos MMA: Did you get a rank? DMB: I am a purple belt under Michael Ortiz. I still currently train Brazilian Jiu Jitsu. I still do gi jiu jitsu , but mostly no gi. I don't really care too much for the pajamas. When you get so involved in the MMA game, it's kind of hard to, but I still train at Big John's. Gene Lebell is a judge in the commission and he invites me to go train at his gym, so I I've been there a couple of times. Chingasos MMA: Have you competed? DMB: I've done some Pankration back in the days. Amateur wasn't sanctioned in California until 2004, 2005 so it was hard to get fights back in the day. So, I didn't do much of that stuff. There was Pankration at Camp Pendleton. Chingasos MMA: Who licensed you? How are you sanctioned? DMB: I first got licensed by CAMO by JT Steele in 2009 I believe. I was licensed first as an inspector and a judge. 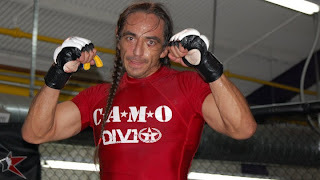 I had taken big John's referee class in 2007 and I had tested back then, but we didn't have any amateur MMA in California, so I didn't use it until I got into CAMO. I took big John's class again. There was more detail with the ring work and cage and I passed it again, so then I got licensed in 2010 or 2011 as a referee in CAMO. 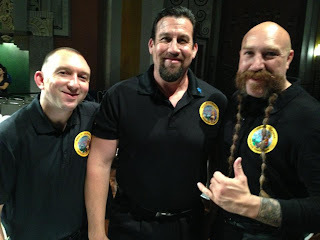 In 2012 I got licensed with CSAC under George Dodd. I had done a couple of years of amateur work and I had demonstrated the skills to earn my pro referees and pro judges license. Chingasos MMA: So did they evaluate you live? DMB: I had received recommendation letters from other pro officials. Then I was given a chance with what is called like a permit, to work with pro, and given a probationary period to demonstrate my skills. So right now I can referee and judge under CAMO and CSAC. I'm not a licensed inspector, but on the same token, I usually show up early for events and I'm there to help as far as checking in fighters and making sure they have their equipment. In CAMO, a lot of times we come in two hours early just to help out and make sure all the hand wraps are taken care of, just to give them a head start so the fights can start on time. Chingasos MMA: What made you want to become a ref? DMB: Obviously being a fan of the sport and obviously training at big John's. I built a relationship with Big John McCarthy. He is the guy that started it. He pretty much wrote the book of being an MMA official. Just seeing what he does. All fighters want to work with him. Also, just saying to myself that I know I can do it. As a fighter you want to make sure that someone is in there who knows what they're doing, to give you a chance to fairly compete, and on the same token, someone who will protect you when you cannot protect yourself anymore. I believed I could do it, so I wanted to give it a shot. Chingasos MMA: What do you see as the differences in the different types of shows? For example, what are the differences you see in a CAMO show versus any regular pro show versus a UFC event? DMB: Well CAMO, of course, is amateur so the amateur rules apply, which means no elbows and no knees to the head and then no rotational leg locks. Also, in amateurs, fighters aren't in there getting paid. They're just in their testing their skills, so you will tend to pull the trigger a little faster on stoppages if you feel the fighter is taking punishment. Maybe an arm lock is on. In the pros you might give them time to work themselves out of it and possibly break that arm, but in the amateurs, if you think that submission is locked on pretty good and you don't think that fighter can get out of it and you think something might break, you'll stop it, where you won't do that in the pros. As far as pros versus UFC, in pro fights, especially in California, there are still 3-3 minute rounds and not the five-minute rounds like the UFC. But, usually after four or five fights, you do your five-minute rounds as a pro. The UFC is obviously a well-oiled machine as far as getting their fighters ready and being on structured time. Even in some of the pro shows, the scheduled time to start the show will be 7:00, but it ends up being 7:30 or 8:00 or something like that. In the UFC you know they have TV limits, so they have to start on time. They'll have six cutmen back there to wrap hands, and they have a big crew to make sure that everything is organized. But even in some of the Pro shows, they don't have a budget to do all of that. Chingasos MMA: Earlier you mentioned stopping fights a little bit early for the fighter's safety, but fighters don't see it that way sometimes. How much heat have you caught? DMB: I've caught a little bit. Obviously as a beginning ref, when you first start, you don't want to be the guy that is there when someone gets really hurt. You try to time it as well as you can. You look for signs that the fighter is not intelligently defending himself, and in rules meetings backstage, you try to give them a fair warning that fights are going to be stopped a little bit early. You tell them, "Here's what I'm looking for. If I tell you work, improve your position, get out, that's your cue to show me that you are still in this fight." However, sometimes a fighter might be turtled and the blows he is taking aren't necessarily punishing, but they're not moving. I tell them work it out and they're just staying. You know you've already warned the fighter backstage that if that happens, you're going to stop the fight. Some other times, just the intensity of the blows, and you can tell that they are severely being punished. Chingasos MMA: Are there any rules you would change in MMA? DBM: The 12 to 6 elbow or downward elbow, sky to earth elbow. It's no different than any other elbow that you do. Obviously, someone is going to say you can put the tip of the elbow in someone's eye, but it's no different if you were going forward and put the tip of the elbow in someone's eye or someone getting punched in the eye and then claiming they got poked. Obviously, a strike to the spine is a concern, but every blow to the spine is illegal. It's considered the back of the head area. The heel kick to the kidneys is another rule. It's the Royce Gracie rule from back in the day. But, are those any more damaging than a kick to the kidneys standing up or a punch to the kidneys or a punch to the liver? Chingasos MMA: How about equipment? DMB: I don't know if it can be done, but you see it a lot more often when fighters are in the pocket and their fingers are extended and people get eye poked. Obviously we warn them, as a ref, to keep their hands closed or keep the palms up. But, it would be helpful if something could be made where you could still have the flexibility, like a mitt, but not have fingers that could poke people in the eye. Same thing when you are pushing someone's face only the fingers get loose. It's not that the fighter is being deliberate, but it happens. Chingasos MMA: How often you do you see that happening? DMB: Often enough where it's a concern. It's something you penalize people for, but it's just something that happens in a fight. It's in our nature to push away when someone's coming towards you. When trying to engage, sometimes a fighter ends up getting poked. A guy like Anthony Johnson is an example. He got poked pretty badly and he took a loss for it, which was an accidental foul that wasn't seen. And then the grounded fighter. Anything besides the soles of your feet being down, and you can't get kneed or kicked to the head. Sometimes that becomes such a judgment call because they put their finger down or they took a blow and all of a sudden they fall to a knee and they take another blow. Is it a foul because that person was shooting for a takedown or is it not a foul because that first blow rocked them and the fighter was already set to throw the second blow? So, it's a tough call. If there was something more concrete like being on all fours or flat you can't be kneed or kicked to the head. Chingasos MMA: Do you think fighters abuse that rule? DMB: You can hear coaches tell their fighters to drop or to put their hand down to make sure that they don't get kneed. Same thing with fighters that are passing the guard that don't want to get up kicked; they will drop to a knee to make sure they don't get that up kick. In the Ben Henderson/Melendez fight, Melendez saw that Henderson had nailed Frankie with some nasty up kicks, so he dropped to a knee to make sure he didn't get them. I mean it's smart; it's the rule. Mainly for wrestlers that are taking on strikers, how much of their game is affected if they are allowed to get kneed when they are coming in? Chingasos MMA: We had discussed referees and judgment calls. What kinds of punishments are there for refs who make bad calls, stopping fights too early or too late or any other bad decision that a ref makes? DMB: It all depends on which athletic commission. The athletic commission and the executive officer of each athletic commission are the ones that give assignments to referees. If you have an executive officer who feels that the fight was unjustly stopped, the fighter can appeal it and the commission can review it, and if it's something that can be overturned, then it will be a No Decision. It has happened. On the same token, an executive officer might not give assignments to that referee or not as many assignments or not big assignments because they question the person's judgment. But, that all depends on the executive officer. Chingasos MMA: So there's no suspension? DMB: You can get your license suspended. It all depends on what kind of call it is. If it's a judgment call and it's a close judgment call, then you have to go with the judgment of the referee. Now if it's something that's not a judgment call, maybe it's mechanical, then things will be looked at differently. Chingasos MMA: Since you also judge fights, how difficult is it to judge fights? DMB: It all depends on what kind of fight you're doing, what activity is going on in the fight. Obviously, the two top criteria are effective striking and effective grappling. You have to determine what's effective. Maybe one fighter is the busier fighter and he's throwing more strikes but not necessarily landing, while the other one is landing strikes in there. Lyoto Machida is an example because other fighters might be busier, but he's a counter fighter that lands the cleaner shots. It's not pretty to watch sometimes because he's working on not getting hit, but he hits the other person. With effective grappling, someone might get three takedowns in a round, but what did he do with those takedowns after he got them? Whereas a person that is landing strikes and damaging his opponent or effectively striking his opponent while the person getting the takedowns didn't do anything, you have to look at the end of the round and you have to decide which fighter you would rather be. The other flip side, maybe someone has an armbar on for a long time and the guy gets out of it but he was in an armbar for thirty seconds defending, squirming with his arm hyperextended. It was an effective armbar, you have to understand. Or like a triangle. Someone has a triangle for a long time but you know the triangle was near his ears and there's still an air gap in there and you know it's not as good as a solid triangle. Chingasos MMA: Especially in CAMO because of the short rounds, you'll see a fighter win the round with a simple takedown, regardless of whether or not there was any damage done. What are your thoughts? DMB: It all depends. If the takedown was all there was in the round, yeah, you probably give it to the guy that got the takedown. But, if he got the takedown but the guy at the bottom is dictating the fight, looking for submissions, attempting sweeps, and the guy at the top is the whole time defending, the referee is keeping it at the bottom because the guy at the bottom wants to keep it there and he's the one dictating the fight. Then the guy at the bottom should get the round. Maybe the top guy is throwing strikes to the body whereas the bottom guy, and this doesn't happen in CAMO, is throwing solid elbows that are landing. Obviously you have to know what you are looking at, but that's an example of the bottom guy winning the fight. If he's going for submissions, he's going for moves and the top, fighter is trying to hold on and doesn't try anything, the bottom fighter gets the round. There are a lot of criteria. Because there are two minute rounds, you don't get as much of the material to work with. That's why if you are at the bottom, you have to be super active to show that," Hey! This is my round". 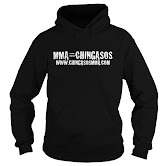 Chingasos MMA: What about aggressiveness? How does that fit in? DMB: Same thing, if that's the only criteria. There's effective striking and effective grappling then aggressiveness and cage or ring control. Chingasos MMA: So, it looks like for you, the main criteria is effectiveness. DMB: Well, those are the main criteria, but if there's nothing effective going on, then the only thing that you have there is the aggressive fighter. Then you give it to the aggressive fighter. I bring up Machida for the same reason. Fighters are more aggressive than Machida, but Machida scores his points. But if you have a fighter who wasn't doing what Machida does, and the other fighter is just coming forward, yeah, you have to give it to the aggressive fighter. But those don't happen too often, but they do happen to the point that, especially with new fighters who are afraid to engage, you don't give credit for defensive, but you do give credit for aggressiveness. Chingasos MMA: From a fan's perspective, in the close fights, especially where you have a split decision, you're left wondering. You'll see the scores go 29-28, 28-29, then the third judge will score it 30-27. What do you think causes such discrepancy in the scores? DMB: I can only speculate because you never know what's in the mind of a person. The judges are located in three different areas and sometimes one judge sees straight on what's gong on. Maybe there's a submission locked on and you're the judge that sees the backside of the submission. So you can't really see if it’s on or if it's not. Maybe you think it's on, but it's really not whereas the guy seeing it sees that it's clearly not on and doesn't give credit for it. Same thing sometimes with the intensity of strikes. If they're on the other side of the cage, maybe one fighter has the other pinned up against the cage. The guy that's pinned up against the cage is throwing some great strikes that are actually pretty solid, but the judge on the backside doesn't have a good angle and can't really see it. Sometimes the posts are in the way and the judge can't really see it. That's just some speculation. Sometimes certain judges give credit to certain things. Not that they should, but some judges might give credit to striking while other judges give more credit to grappling. I think, at least in California, we're getting in people that are well versed in all aspects of MMA. Chingasos MMA: So, do you think is it easier to judge an amateur fight where the cage is smaller as opposed to a UFC cage that's bigger where you could have the action way on the other side of you? DMB: The UFC gives you lots of tools. They also give you monitors, so that if it is an area that you can't see, you can peek down real quick. Plus there are the five-minute rounds, so you have more material to work with. There are always going to be the fights that are very close to where you have close rounds that could go either way. You could almost score those rounds 10-10, but you're encouraged not to do so. Your job, as a judge, is to pick a winner of the round. Even MMA journalists, if you look at it, half of them will pick one fighter and the other half will pick the other fighter. There are going to be those fights that are razor thin and you could see that either one could win. Chingasos MMA: What's the worst thing that has happened to you as a referee after anything controversial? DMB: There was a fight, and I won't give the details, where the fighter did a soft tap, and they were warned about it; if it looks like a tap, it's a tap. So of course the fighter was angry and the corner was angry. The winning fighter had a mounted guillotine and the bottom fighter made a soft tap hoping the top fighter would alleviate the pressure. I stopped the fight and other officials agreed that it was a tap. This was the main event of the fight card and I was getting ready to leave the cage. The venue was supposed to pour all alcohol into plastic cups but they hadn't. Some of the audience started throwing their beer bottles, but luckily some of them only hit my backpack. Chingasos MMA: Has anything funny, as a referee, happened to you? DMB: I had a few incidents where fighters have come after my legs after the fight was over. There was also a fight where this guy was running away from punches but he got caught. I stopped it and he thought he was good, so he got up but he was on wobbly legs. The doctor came in and asked him where he was and he yelled back "Hollywood!" The doctor asked him what day it was and he yelled back "Hollywood!" That happens where guys think they're okay but they're actually really not. Chingasos MMA: Thank you! Last question and we'll wrap it up here. Superman or The Hulk, who wins? DMB: That's a tough one. How can you argue against the man of steel, Superman? They're both some of my favorites. I'll never get tired of watching movies like that. I went to watch Man of Steel when it first came out. I've seen all the Hulk movies, especially the one with Edward Norton where they start off the scene with Rickson Gracie doing yoga and slapping him. Chingasos MMA: Anything else you would like to add? DMB: I'm blessed to officiate this sport that we both love and to be a part of its continued evolution and growth. The sport is a lot different than when we started, the amount of athletes that are doing it now and the things they can do now that couldn't be done back in the days. I think the next generation of fighters, in the next 10 to 15 years, who started from MMA versus someone who started in one discipline and ended up learning MMA in their 20s, are going to be that much better. I think there are better athletes and better types of training. I think MMA has pioneered a lot of multiple training that even football teams are using, programs built around explosion and stamina and cardio. That ability to fight 5-5 minute rounds at that level, the average human would have a hard time going one minute at the pace that these guys are going. It's a testament to all the hard work these guys are putting in in the gym. It's not easy to get in there 5-6 days a week to put your body through that punishment and still come in and perform at a high level. Chingasos MMA sends out a big thank you to David Michael Bell for sitting down and doing this interview. Please share, and help expose this great sport to the world. Also stay tuned for more interviews with fighters, trainers, and other MMA officials. UFC 162 is going down this Saturday, July 6. Anderson Silva will face his biggest threat yet in Chris Weidman. Weidman brings in to this title fight the MMA skills that have given the champion trouble. Weidman is young and hungry! Silva is a seasoned vet and a legend in the sport! Who will win? Let's take a closer look at these two fighters and then I'll make my UFC 162 main event pick. Weidman is 9-0 overall with the last five wins coming in the UFC. He's finished six of those 9 fights, three via KO/TKO and three via a submission technique. His great wrestling ability has gotten him a decision win over Demian Mai and he mixed in some excellent striking skills to get a KO win over Mark Munoz in his last fight. Weidman has the best wrestling/grappling in the UFC's middleweight division. Wrestlers/grapplers have given Anderson Silva problems. But, Silva has overcome those problems with great wrestlers/grapplers to pull out victories. However, Weidman has the best striking of any of those other strong wrestlers/grapplers Silva has faced. Anderson Silva is 33-4 overall. Since entering the UFC back in 2006, he's undefeated at 16-0. His last loss dates back to January of 2006 where he was disqualified for using an illegal kick versus Yushin Okami. Silva avenged that DQ loss at UFC 134 when he dismantled Okami and won via TKO in the second round. Anderson Silva's striking accuracy has become amazing as his last four opponents can attest to. None of them have made it past the second round. The improvement in his takedown defense since the close call in his first match with Chael Sonnen has been noticeably making his striking even more of a weapon. While Weidman posses the skills to give Silva problems, pulling out a victory is going to be tough. Silva has a huge toolbox of MMA skills to dig into, and the tools he usually reaches for are dangerously sharp! Silva has a wealth of experience to fall back on. He's been in trouble. He's been in big fights. He's fought the best of the best. Look for Weidman to push the pace and use his wrestling to get the fight to the ground. Silva will be able to counter and land solid strikes. As the fight progresses, Silva's experience and striking accuracy will build momentum that Weidman will not be able to overcome. Silva will stay undefeated in the UFC and hold on to his Middleweight belt. Check out the UFC 162 Extended Preview video. 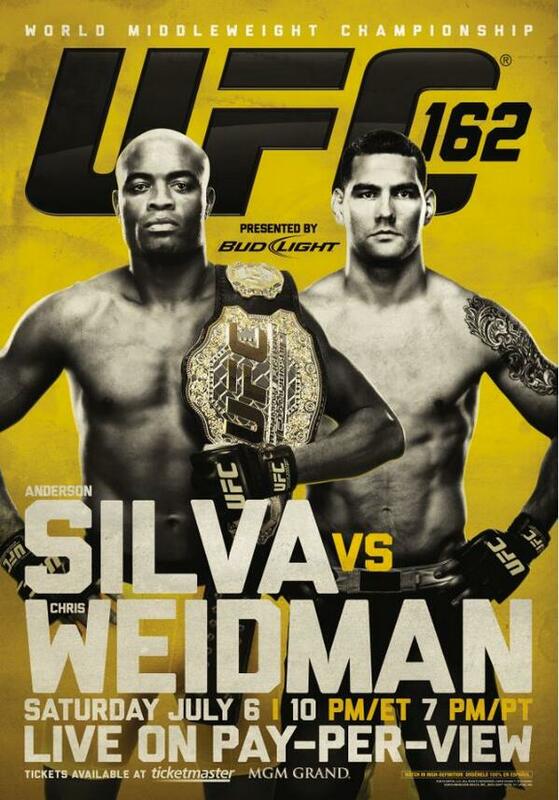 What's your fight pick for UFC 162: Anderson Silva vs. Chris Weidman? As the Summer heats up, the Mixed Martial Arts (MMA) cage fighting action does as well. If you want to catch some live MMA cage fighting action in or around the Los Angeles area, here are some of the MMA events that will be happening in the month of July. Some of these events can get pricey, so choose wisely as they're not all created equal. Support the fighters and the sport, help us help the fighters and these events by spreading the word. King of the Cage returns with "Validation"in Highland, California on Thursday, July 11. 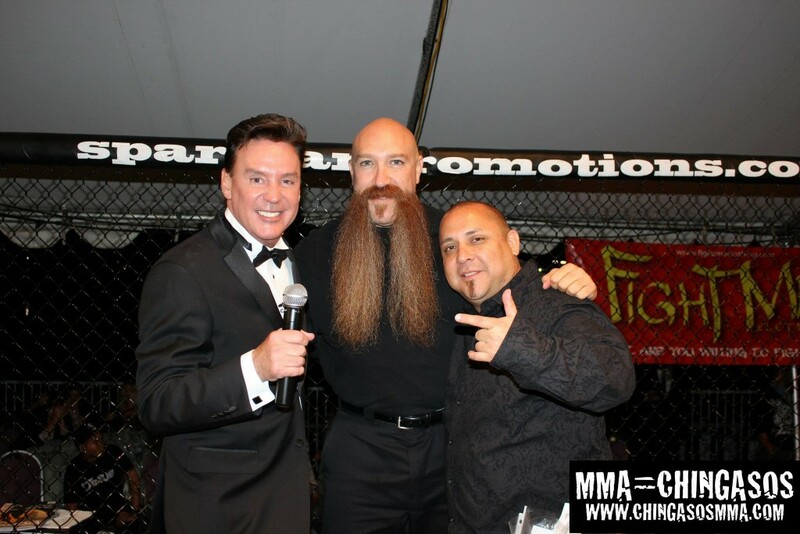 King of the Cage is the premiere professional MMA promotion in California. Several UFC fighters including but not limited to Quinton "Rampage" Jackson began making their name at King of the Cage. The King of the Cage - "Validation" MMA event will start at 7:30 p.m. Tickets range from $50 to $90. KOTC- "Validation" will take place at the San Manuel Casino. Respect in the Cage returns Saturday, July 13. Respect in the Cage continues to put on professional MMA events in an exciting venue. While we haven't had a chance to cover them, positive reviews have come through the wire. Respect in the Cage will be held at the Fox Theater in Pomona, California. There will be a fully stocked bar, 3 levels, 3 patios, 3 replay screens and parking is free. Tickets range from $40-$150. Doors to Mansion Fights 8 will open at 3:30 p.m. and the fights will begin at 6 p.m.
Summer Fist 6 goes down Sunday July 14. Summer Fist 6 will be held at the the OC Fair - Action Sports Arena. 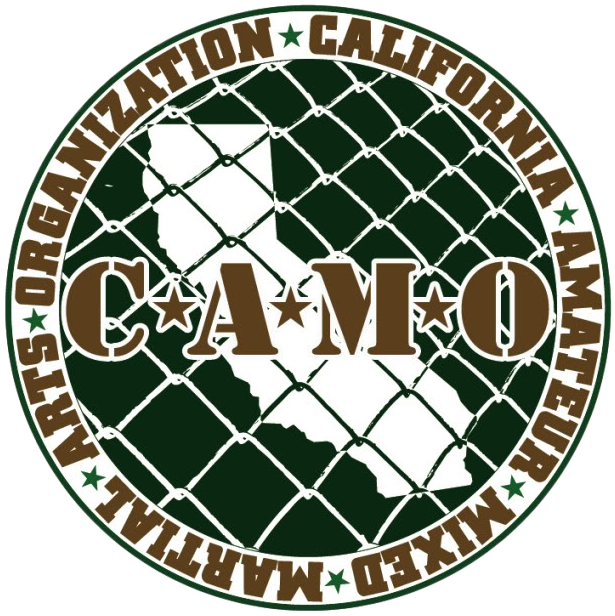 This MMA event is CAMO (California Amateur Mixed Martial Arts Organization) sanctioned and will feature some of the areas best up and coming MMA fighters. Doors open at 5:00 p.m and the fights start at 6:00 p.m.
Stay tuned for more information on MMA events in and around the Los Angeles area as well as UFC main event fight previews and picks. If you need help gaining exposure for you MMA event, gym and or fighter, feel free to contact us. Chingasos MMA is here to help promote this awesome sport! We'll do our best to give those that are representing the sport in a positive way extra exposure.